In a new series of posts we will be featuring Ben’s sister Jenny Lucas. Jenny (or Jen) is currently a student at Colorado State and an intern for the Vail Jazz Festival working toward a career in music. She loves music and knows more than most about it than most so we are allowing her to flex her creative writing muscles. (Ben) I hate Breezeblocks…sorry Jenny…you can’t get me to like this song. I’ve made it through Intro…and Interlude 1 (Why are there 3 Interludes???) and am on to Tessellate…which I like. I am going to need to listen to this album multiple times. The first I will need to listed hard but it will be tough to get past the lead singers voice…I CAN’T GET PAST IT. Just skipped Breezeblocks…yep that’ll be a theme. 2nd time through I’ll dive into the instrumentals and third probably the lyrics, but I don’t know, I’m not a huge lyrics guy. Interlude 2 sounds like David Grey is on a beach in Wales…next…great into drum (snare drum) to Something Good. Oh neat…piano…another piano…Something Good has a good pace, I could run to this song. Something Good sets itself apart from the first part of the album, thumbs up. So far so good on Dissolve Me…this is their most complex song so far…what do you think Jenny? I’m digging it. Lots of different sounds…new age, alternative, Irish Folk…if you dropped a beat and a synthesizer machine over some Mumford and Sons…This is my favorite song on the album so far. (Jenny) Now that Alt-J have announced a new album and dropped their new single (sampling Miley Cyrus which wasn’t as disastrous as I thought it could be) it’s a good time to revisit their breakthrough first album. I have been listening to Alt-J for years, before their first album came out…Very hipster (blah) of a thing to say, I know (of course you would! ), but it is true. The point is that this album has become one of my favorites and I haven’t gotten tired of them. Love Intro! Makes me feel like I’m starting some epic adventure and then launches straight into Interlude 1, an accapella piece that makes absolutely no sense, but the flow is on point and sounds awesome. Tessellate had me hooked within the first 10 seconds—the beat is addicting. Lyrically this song made me laugh when I first heard it, but after a while I found it to be unique and quite clever. On the surface it’s a song about basic geometry, but delve deeper and it revolves around love/relationships (my opinion). I love Breezeblocks…sorry Ben. I don’t mind his voice—it’s is different, but I think it fits the sound of the track, and the vibe of the album. This song just has a cool sound, especially the second half. The drums and the “hey” at 2:32 just make the song for me—it’s the little things. Interlude 2 is nice and relaxing, but could do with or without it. Something [really] Good. Everything about this song work for me–The melodies, instrumentation, that piano!!! The variety and complexity of Dissolve Me, like you said, makes this song great. The quiet moments really make it a stand out for me—I am a big fan of the dreamy feel. On to the second half of the album, starting with Matilda…Here we go…I think I’m bothered here the same way I am with Breezeblocks. The voice just kills this song…give it a different voice and I think it works better. The instrumentals are good. Ms – at the minute mark I’m getting a Beatles vibe. You’re right with the dreamy, chill vibe with this song. You feel like you can sit on the porch and have a few beers and play this song on repeat on a calm summer night. Fitzpleasure is interesting…it is gritty and unless you’re listening to listen…like actually listen…Alt-J poses problems with the ‘hard to decipher’ statement. I like the song. I have to bring up Bloodflood…at first listen, I really like this song…there is a whaling feel to the song that sticks with you. Lyrically it is a simple song based around a few lines but the instrumentals and delivery make it a repeat listen immediately. Matilda was the first song I ever heard and at first I was not a fan, it took months for me to revisit it. It is still not my favorite, but it grows on me each time I listen. Ms is my absolute favorite! As I mentioned before, I like songs that create a dreamy, chill vibe and this does just that. Every time it breaks into the instrumental portions I get chills, and hearing it live almost brought a tear to my eye—I had a moment. I actually never gave it much attention until I saw Alt-J live. Hearing it was an experience and made me appreciate what Alt-J was doing even more…it’s hard to explain. Tra-la-la-Tra-la-la. Fitzpleasure is gritty, loud and sometimes hard to decipher, but it is awesome. Interlude 3 is nice and a good transition from the Fitzpleasue into the more timid Bloodflood. I found the technique used with guitar—adding an Indian feel—in Taro really refreshing. This is definitely one of the top songs on the album. Hand-Made is good, but not one I listen to a lot. Overall, this album is incredible. An Awesome Wave combined so many different sounds/genres that all worked well together. The style is new, different and still exciting 2 years after its release. Thanks for your input Jenny, it is always good to dive into music that you would have not listened to otherwise. I was not a fan of Alt-J outside of casual listening. A few thoughts right away…there is A LOT going on with the sounds and direction of “An Awesome Wave” and this isn’t a bad thing. 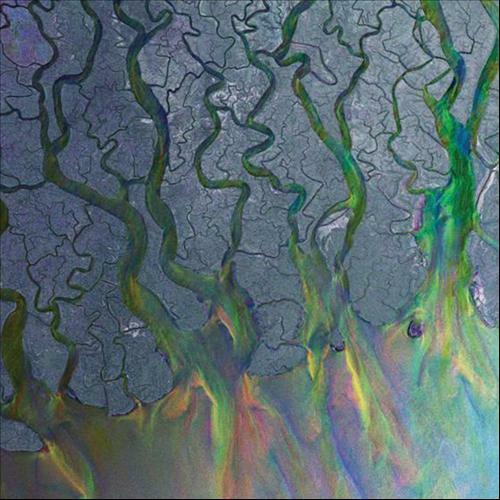 It is an album that has turned me more onto Alt-J than I have if I never listed to it. To me, it is a mix of songs that would work great in a road trip mix, a running mix or an uninterrupted day on the slopes. You can listen to “An Awesome Wave” and really lose yourself with the transitions and trance-like vibe of the whole album.